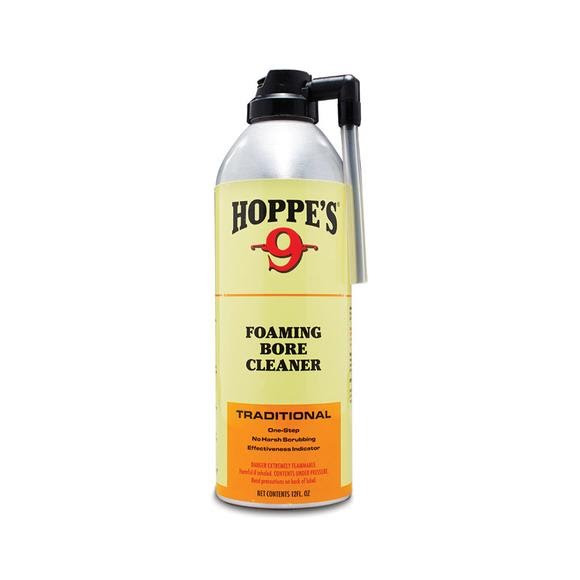 Hoppe's Foaming Bore Cleaner quickly and effortlessly dissolves and removes copper and powder residue. Its superior cleaning formula does the work for you, no brushing or other mechanical cleaning necessary. Orange foam will turn blue indicating copper removal or black indicating powder removal. Hoppe&apos;s Foaming Bore Cleaner quickly and effortlessly dissolves and removes copper and powder residue. Its superior cleaning formula does the work for you, no brushing or other mechanical cleaning necessary. Orange foam will turn blue indicating copper removal or black indicating powder removal.